Welcome new Industry Cluster Team Members! The Michigan Industry Cluster Team has expanded and has new individuals and also new responsibilities. The cluster team will now be responsible for the Michigan Advanced Technician Training Program (MAT2), the Skilled Trades Training Fund (STTF), Grant Development, and the Community College Skilled Trades Equipment Program (CCSTEP). 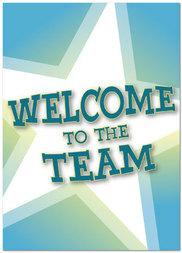 Please join us in welcoming the following individuals to our team! A career exploration event – Career Quest is taking place April 28th at the Devos Place. Michigan Works! Kent, Allegan & Barry Counties has collaboratated with Kent ISD, Construction Development Workforce Alliance (CDWA) and several area employers to offer a very fun, educational, and hands-on career/college readiness event. This event is open to classes of 6th - 12th grade students in the region. DeVos Hall will be divided into four football size industry quadrants. 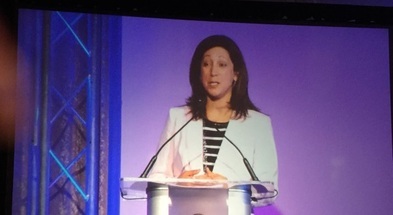 DTE Energy’s Manager of Workforce Panning and Analytics Tracy DiSanto represented the Detroit Metro Prosperity Region at this year’s Michigan Governor’s Economic Summit and Governor’s Education Summit, held on March 3 at the Renaissance Center in Detroit. Designated as Region 10’s employer champion, DiSanto who also serves as Co-Chair of the Michigan Energy Workforce Development Consortium (MEWDC) highlighted the career and technical education successes and ongoing work of DTE, MEWDC, and the region. For the first time, the Governor's Economic and Education Summit was combined, allowing the most innovative minds in education and economic development to discuss the best ways to better prepare Michigan's students for future success. The key focus at this year's summit was the skilled trades and talent development. As Michigan companies look to expand and create more and better jobs, they're having trouble finding talent to fill those jobs. That's why one of Governor Snyder's top priorities is to make Michigan number one in the nation for skilled trades. This infographic outlines what the State of Michigan is doing to become a national leader in talent development and the skilled trades. Visit http://www.ges2.org/ for additional information and highlights from summit. In 2014 the WDA and the MEDC introduced the Prosperity Regions Talent Map. The map is a web-based tool for talent system stakeholders to "collaborate, create, and connect" in an effort to better serve their employer customers. In recent months the project team has taken a number of important steps to evolve the tool. MEDC Application Services team members have received training on the Visual Fusion software used to power the map and have begun to implement standardized tools and processess to upload new partners/resources and maintain existing data. Initially these regular batch uploads and updates will be completed on a quarterly basis but the goal is to adjust frequency based on the volume of work. Other planned enhancements will include the ability to select multiple industry filters when conducting a look-up. New data is continually being added to the talent map. For instance, the current batch of data will include Perkins occupational education contacts for every community college. Thanks to recent collaboration with the Michigan Department of Education, users will soon be able to access information about every CTE program in the state of Michigan. WDA and the Michigan Department of Agriculture and Rural Development (MDARD) have signed an interagency agreement to join efforts with the implementation of the food and agriculture sector talent strategies in the state of Michigan. Rey Guzman, with the WDA MICA team is temporarily assigned to work with the MDARD executive office to assist in tying the state talent system to these strategies. This partnership will focus on collaboration by both agencies to attract talent to our state and promote the skills, and entrepreneurial spirit to our food and agricultural communities. Michigan’s agriculture industry is the second most diverse agriculture products industry in the country and has the potential to grow and expand its products, however, the industry is challenged with finding the highly skilled talent to a rapidly changing technically advanced industry. By working collaboratively, WDA and MDARD can leverage many of their resources to help the agriculture industry build a better understand the many talent challenges. Connecting the two departments to the appropriate workforce programs allows for a comprehensive approach to many of the migrant and seasonal farm workers shortages across the state as well as identifying many of the variety of program specific programs, veterans (i.e. Vet to Ag) etc. while informing WDA leadership and involving appropriate staff. In December 2014 it was announced the Clemens Food Group pork processing operations in Coldwater, MI will create up to 800 jobs. The Pennsylvania-based company considered both Michigan and Ohio for a Midwest expansion of its pork processing operations, choosing Michigan for the location of the facility based on the state and community support as well as site feasibility and labor force preparedness. Michigan Works! Southwest's Sector Strategy Coordinator, Kara Stewart and Business Solutions Manager, Missy Lafferty with the Michigan Works! Coldwater office has participated in many of the meetings with the Clemens management team to discuss strategies in identifying the necessary training providers and to developing the specific skills training needed for the industry. In addition, MDARD in conjunction with WDA has formed the Agriculture Labor Workforce Coalition Workgroup and has hosted a number of meetings to bring together many of the industry partners including Michigan Farm Bureau, and the office of New Americans office to address their critical need for hand harvesting labor. Working together with MDARD has opened more lines of communication and has allowed for a more comprehensive analysis of the industry’s challenges and opportunities by better understanding many of the federal regulatory labor laws and guidelines. Do not respond to this email. To contact MEDC, visit our website at http://www.michigan.org, http://www.MichiganBusiness.org or http://www.MiTalent.org. This communication was sent to you because you requested email communications from the MEDC. To ensure that you receive future emails, please add DoNotReply@info.michiganbusiness.org to your safe senders list. To unsubscribe or to update your subscriptions, modify your password or email address at any time visit your Subscriber Preferences Page. You will need to use your email address to log in. If you have questions or problems with the subscription service, please contact subscriberhelp.govdelivery.com. This service is provided to you at no charge by Michigan Economic Development Corporation. Do not respond to this email.